Hibernia is the Classical Latin name for the island of Ireland. The name Hibernia was taken from Greek geographical accounts. From 1172 Lordship of Ireland gave the King of England the additional title Dominus Hibernie (sic, for Hiberniae; also Dominus Hybernie), 'Lord of Ireland'. The Kingdom of Ireland created the title Rex Hiberniae, King of Ireland, for use in Latin texts. 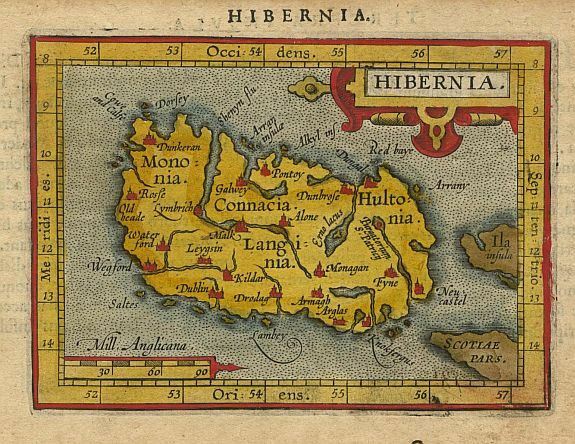 Gerard Mercator called Ireland "Hybernia" on his world map of 1541. Hibernia is a word that is rarely used today with regard to Ireland, except in long-established names.